In the recent Hollyweird tradition, I bring you Sequels….lots of em. Now with even more and bigger snakes. 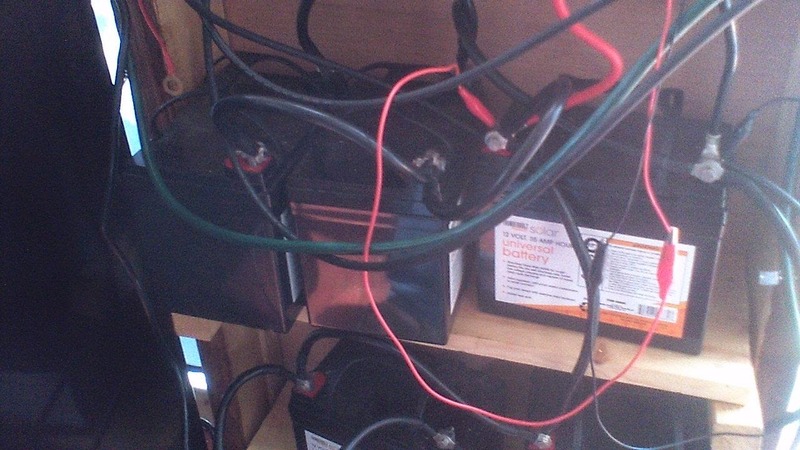 I am, of course, referring to the wiring patch sprouting around our battery bank. When we first wired up, I used what I thought was 10GA wire to connect things. On our trip up from Sue Creek, though, the power handler on the aft motor kept telling us that, while it had enough voltage, it couldn’t draw enough current from the batteries to run full blast, which made for somewhat of a harrowing…..and rather leisurely….voyage. On examination I discovered that I had, in fact, connected stuff with 12 GA wire. Not, IMHO, heavy enough for the tasks at hand. 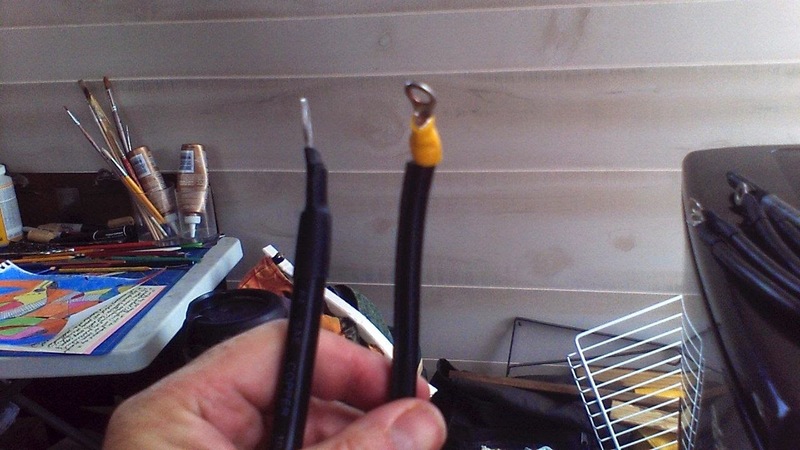 So, like every good American, I went on the web: finding a site for pre-made, 4 GA battery connectors, which I figured would be good for anything including welding and operating the Tesla quantum death ray new lighting on the bow. 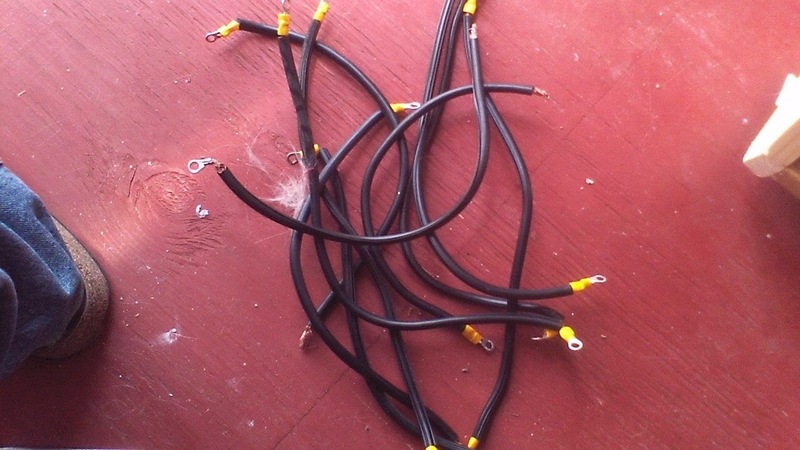 We received the parcel from the vendor in due order (they sell parts and connectors for electric golf carts) with 10, 14” cables with heavy insulated fittings on each end for about $38 bucks. And the banished weenie snakes, overworked and deserving of our praise and a long rest. It remains to be seen if this solves any of our problems, but the system certainly looks a heck of a lot more robust. Will do a followup in a few weeks on this. …..only to go through the whole thing the next day…..
See, the problem is, our battery bank wasn’t getting a chance to recharge. 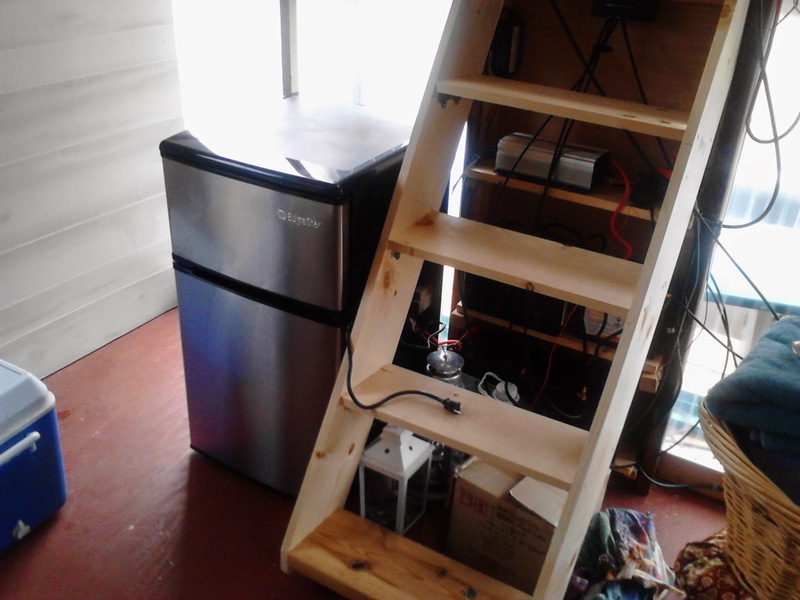 We’d be showing 12.4 volts only to have the fridge and inverter combo knock it down to 12.1 when they kicked in……then 12, then 11.9……. So I finally just went, bought some ice, and left the system off until my batteries are back up to their healthy, normal 13+ volts. Then We’ll try it again, starting the system around 10AM, shutting down for the night, …..lather, rinse, repeat. This seems to be working for a number of folks with solar cabins, so it should work for us, right? If you do get a fridge for your small solar system, do yourself a favor, make sure you battery bank is up and use block ice to cool the fridge down initially rather than draining your system to do it. You’ll be glad you did. 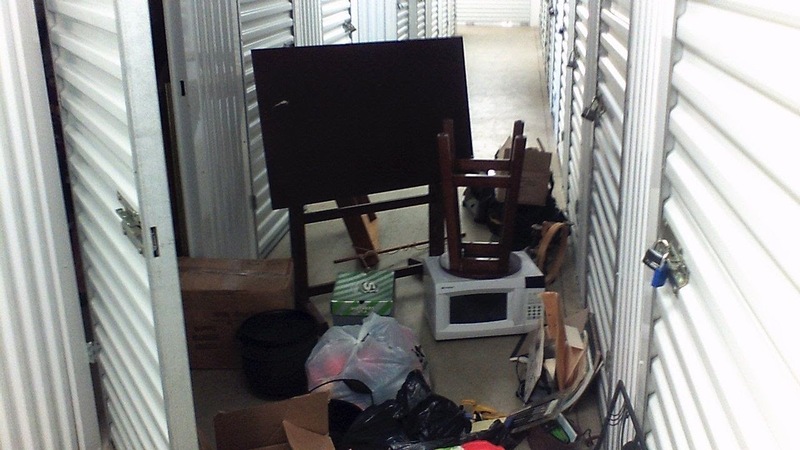 In which we had to go back to our storage locker, dig out half a ton of stuff to get to a box we needed, put it back together, only to discover when we got home it was the wrong box….